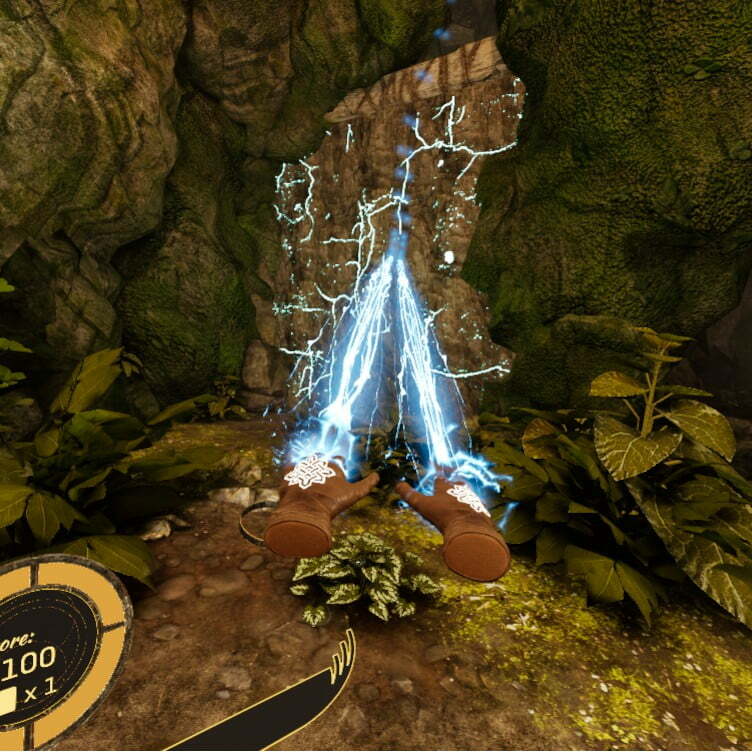 Ditch the wand and pointy hat as we take a look at Carbon Studio’s early access game, The Wizards! The wonderful world of virtual reality is taking great leaps and bounds in the gaming community, and there is no shortage of imagination in the early access realm on Steam. 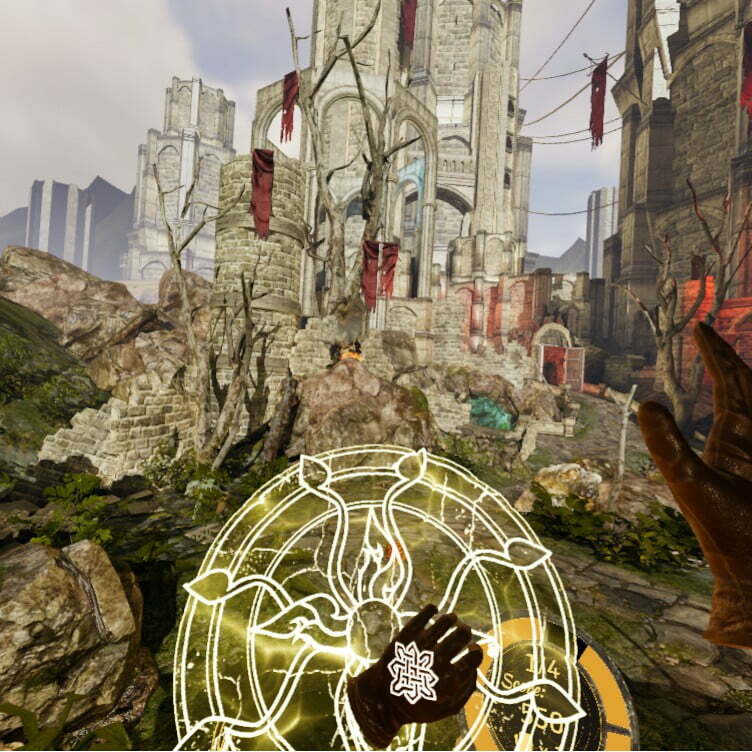 Carbon Studios, the Poland-based developers of Alice VR, have recently added The Wizards to the mix, offering players the early-access chance to live out their dreams as an up-and-coming wizard in a land filled with terrible hordes of nameless beasts. The only question is, will the final product come out as Gandalf the Gray or prepubescent Neville Longbottom? The Wizards claims to boast a “[s]tory mode featuring time travel and heroic battles”, and while I was treated with several dark cutscenes and a soothing voiceover, I still couldn’t tell you why I was defending the series of town squares and grungy mines I kept finding myself in. This lack of a cohesive narrative further pushes the game into the wave-shooter/arcade corner, and while the developers may object to criticism claiming a lack of depth, they might as well just ride it out and accept what their game really is. My frantic casting often looks more like waving…the friendly locals agree. Each level is navigated purely by node-to-node teleportation, and this in and of itself can be a bit jarring when you’re constantly focusing on distancing yourself from hordes of enemies. The sometimes oddly spaced points of access break up gameplay, and stopping my fireball mid-cast to hunt for the nearest safe space felt unnatural and often aggravating. Open teleportation, as featured in the likes of Raw Data, would have been a boon for the beautiful set pieces and fast-paced combat. Combat in The Wizards is currently limited to six main spells, and each spell carries a series of potentially devastating upgrades. While I find myself constantly amazed watching my own hands pick up objects in VR, seeing myself hurl balls of flame or shoot torrents of lightning made me feel like a god. 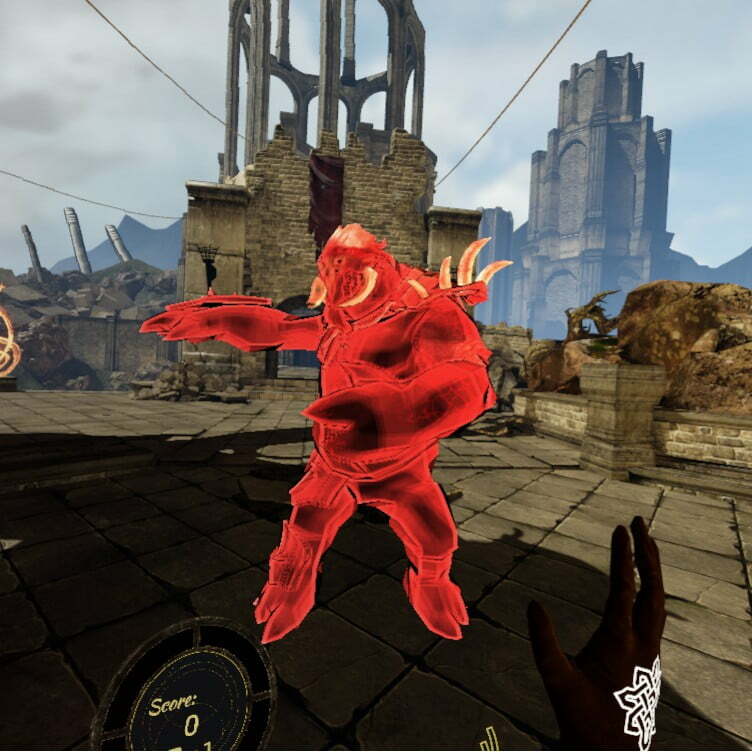 The game’s controller tracking often threw my hands about like a pair of gloves in a tornado, but the visceral satisfaction of flicking my wrist to create a burning orb of destruction was enough to keep me going. 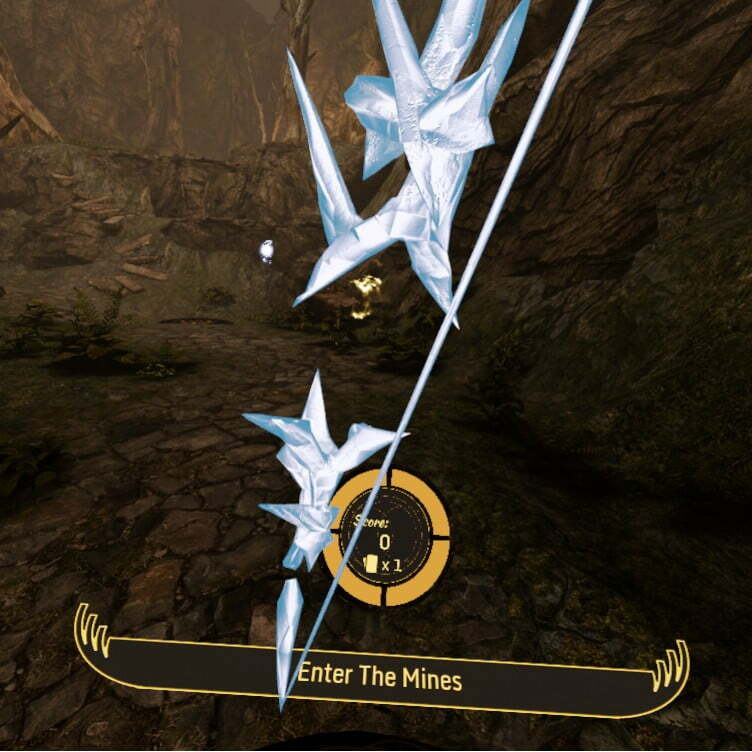 That being said, players will find one or two spells useful and may try to ditch the rest, but the game pulls that “we worked hard on these features so you’re going to sit there and like them” fit and immunizes certain enemies from each spell’s damage, successfully forcing you to wave your hands around trying to remember how to pull a bow out of thin air (it’s as hard as it sounds in real life). You think it’s easy to remember the secret handshake that pulls this out of the air? Each level is combination of node-to-node exploring and single position defense. As much as the developers seem to hate the words “wave-shooter,” there really is no other description for this style of gameplay. You sit in one spot or several and fend off groups of baddies, either to protect yourself or stem their attack on an objective. Sure, there are several “destroy this” or “collect that” objectives along the way, but the game really boils down to a fixed rail, fire chucking bonanza. This style, combined with clunky teleportation and common enough tracking issues, can make gameplay somewhat frustrating and overly complicated. It wouldn’t be as big of an issue if your hands didn’t flop around like a marionette whose owner was suffering from late-stage Parkinson’s, but the tracking problem remains and you can’t reliably count on your spells to work. The Wizards has the potential to help us get over the fact that no one here got a letter from Hogwarts growing up, but the game needs a long, hard dose of tender loving from the developers before it can be counted ready for prime time. Unlimited power and the ability to shoot lightning from my fingertips only works if my hands occupy the same space as the rest of my body, and designated node teleportation should really be left to futuristic tour guides, not unstoppable warrior mages.